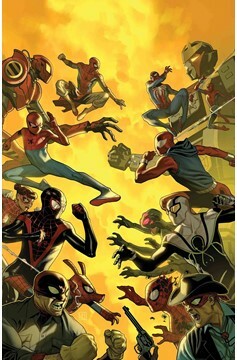 REVENGE OF THE SPIDER-VERSE! • One SUPERIOR SPIDER is willing to do whatever it takes to defeat the Inheritors! • Will Miles and his team have to stop him before he goes TOO FAR? • Stand together or fall separately - isn't that how it goes? Rated T.